Tourney time is upon us and is an exciting part of the year for schools of all sizes! Small schools (single A) never get reported on or receive a lot of attention, but has anyone seen any that are playing well? In Region 1 South Greene and Berean Christian are always good and have a chance to win it all, but I haven't seen many reports on either this year. Region 3 has Sale Creek who has a good record and played decent at the Mid TN tourney earlier in the year. Columbia Academy has the ability to be competitive at times. Region 4 should be all Watertown. They have a good record, but the schedule is suspect. In Region 5 Harpeth has played a bunch of big schools and has looked good at times. They gave Camden all they could handle recently, and beat Summertown this past weekend at the Wilco tourney. Hickman County is young, but improved, and should be the only test for them in this region. Region 6 usually sends Summertown AND Loretto to the state tourney, and by all reports both have looked good much of this year. Trinity Christian in Jackson has an outstanding record, but not sure the quality of their schedule and if they will actually be competitive when it comes to the Region tournament. Before the District realignment last year, they had gone to the state tourney. Has anyone seen them this year? Does anyone have an info. on any of these teams or others that should be watched? No surprise that Columbia Academy wins D6. In D10 Hickman County knocks off Harpeth 3-0 which was a surprise since Harpeth has beat them twice this year, including 3-0 less than 2 weeks ago. First time in 11 years that Harpeth hasn't won a District title. Unless something drastic happens, these two should meet again in the R5 finals. D11 was a little surprise with Loretto finally toppling Summertown in the District final after years of trying. D15 saw Trinity Christian have a cake walk to make their record 34-3. Should make for an interesting R6 matchup with Summertown who has past tournament history and has been battle tested playing many larger schools. Trinity Christian has played mostly A and AA teams and not played in any of the big tournaments. Fun part of the season! I enjoy your posts. I am an official so I don’t really have a team but enjoy watching the game. I plan on going to the Watertown Vs Columbia Academy match on Thursday. I will make a post about how it goes. Watertown is a pretty darn good single A team and easily beat Columbia Academy a few weeks ago. So I predict it will likely be a repeat of last year in this sectional. I feel sure Sale Creek will move along as well. Hickman County is playing its best ball and defeated Harpeth in the District and the Region. So they split 2-2 this year. As I suspected Trinity Christian fell prey to their easy schedule. They had an amazing record, but lost to Summertown in the semis. I'm hearing Loretto beat Summertown in a close final game. Looks like it will be Harpeth at Loretto (a rematch from a 3-2 sectional game last year that Loretto won) and Hickman Co. vs. Summertown which could be a good match up. Harpeth split with Summertown this year and matched up with them well, so Hickman Co. should as well. A home Hickman County crowd is rabid, so they will have that on their side. Oh and no surprise, but South Greene cake walked their Region. I haven't seen any other single A updates! Watertown is pretty good. They won 3-1 but should have won in 3. They had multiple unforced errors in a set and got down. Almost came back but ultimately lost 25-27. They have a shot at winning a couple at state but of course that depends on the draw. Watertown’s outside hitters are pretty solid. I saw Loretto for the first time this year tonight and I gotta say...they are as good of a single A team as I have seen. In my opinion, better than Watertown by a wide margin. They have 3 girls that can hit hard and as a team make very few errors. Harpeth made a run at them in set two, but couldn't come up with the win and deflated in the 3rd. Hickman County solidly defeated Summertown as well. I thought it was possible that they win, but didn't know it would come 3-0 like it did. I believe its the first visit to the state tourney for the Bulldogs and the first time in MANY years that Summertown hasn't advanced. Not much of a surprise that South Greene and Sale Creek both advance as they are perennials in the tourney. I really don't know anything about the other teams that advanced (Halls, Gatlinburg-Pittman, Memphis East) although the west teams have such weak districts and regions that nothing much usually happens with them in the tourney. If I'm making a guess I say South Greene, Loretto, Sale Creek & Watertown are my top four and South Greene & Loretto are my picks in the final. Oh and YES...I have noticed a LOT of 'official' errors this year!!!! Officials fall in 2 categories... folks that are officials because that is what they like to do, and volleyball people. In the first category, they go to class, read the rules, get certified, do their thing, and then when the season is over, they go on to their next sport. Officiating is their thing. You notice these types of officials, especially during volleyball season. In some cases, they stand out because they miss so much, and in others, they stand out because they completely over-officiate the game. They mean well, they are just out of their element when it comes to working volleyball because they don't know the game. The second category (and I'd put myself and a handful of friends here) understand the ebb and flow of games and points. They know the rules too, but these are the refs that just do their thing, and you never really notice them. The middle for Sale Creek is a freaking beast. IF only she was a little bit taller. Not sure I've seen a quicker arm than hers. So athletic. I would love to see her on the outside. After seeing the bracket for single A my opinion is that Loretto got HOSED on the draw. They are a great team and have to play Sale Creek in the 1st round and if they win, a potential game against South Greene. That is a tough draw. If I am going with my gut I am still picking Loretto in the finals vs. Sale Creek or South Greene coming out of the losers bracket. It will be tough to pick a winner! I'll say Loretto though. 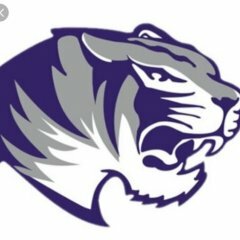 Watertown could surprise, they are big, and have a great record, but I have seen them play a couple of times and they just aren't the level one would expect for having such a great record. I am going tomorrow and will be at MTSU watching the A & AA matches. Should be a good day of action. The first couple of single A games are now finals. BONUS: Found some single A games streaming on FB LIVE! Watertown probably had a little more trouble than they thought they might against Gatliburg-Pittman, but pull out a win in 3. Hickman County steamrolls a pitiful Halls team 3-0. All the Bulldogs had to do was keep it in play against Halls and watch them hit it out of bounds or into the net. How do teams like this get into the state tournament? Same with Memphis East...a team that only has ONE loss on the season, but obviously doesn't do anything but play their district schedule. They didn't even get into double digits against South Greene in set one. Sale Creek vs. Loretto at 2p will me a marquee matchup at 2:00.